If you want to get your eyeglasses and contacts out of sight, consider laser eye surgery. Laser eye surgery may not be for everyone, but the American Academy of Ophthalmology reports that more than 90 percent of people who have LASIK end up with 20/20 to 20/40 vision without eyeglasses or contact lenses. For various reasons, your eyes may not provide clear, sharp vision—either near or far. The typical fixes are contact lenses or a pair of glasses (or two) to provide sharp vision at different distances. Most of us do just fine with these conventional corrections for blurry vision. But if you’re tired of the inconvenience of glasses or contacts, laser eye surgery may be an option. It correct errors in how the eye focuses light on the light-sensing retina in the back of the eye to provide clear vision. Every year, about 700,000 Americans have laser eye surgery, but it’s not the best solution for everyone. If you do qualify, it’s important to have realistic expectations and understand the risks. Do you want to maintain your senses of taste and smell? 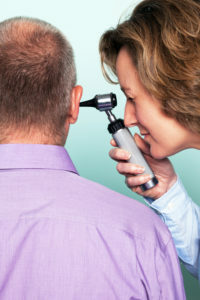 Are you looking to enjoy years of better vision and sharper hearing? Claim your FREE guide on medical problems of the eyes, ears, nose, and throat. Laser surgery reshapes the clear, round dome in front of your eye—the cornea. This makes blurry vision sharper by fixing refractive errors caused by changes in the shape of the cornea or the eyeball or aging of the eye’s natural lens. These problems include nearsightedness (myopia), farsightedness (hyperopia), and astigmatism. Laser-assisted in-situ keratomileusis (LASIK) is the most common form of laser vision correction. The surgeon cuts a thin flap in the cornea surface, gently peels it back, and uses a computer-guided laser beam to reshape the cornea before repositioning the flap. Who Qualifies for Laser Eye Surgery? Failed surgery or adverse effects that later can lead to permanent vision impairment, including blindness. Severe post-surgical swelling (inflammation) or infection. Vision that is worse than before the surgery and need for eyeglasses or contacts. Loss of contrast sensitivity, causing objects to appear fuzzy or gray. Night-vision problems like glare, halos, and double vision. Significant dry eye symptoms, like itching and the feeling something is stuck in your eye. Failed healing of the corneal flap created during surgery, possibly leading to the need for a corneal transplant. For those who quality, LASIK can be used to provide monovision, which means adjusting one eye for far vision (like driving) and one eye for near vision (like reading). The brain is able to adapt in many cases. First, here’s the reality check that knocks many people out of the running for LASIK: Your private insurance probably won’t pay for it. Highly skilled and experienced LASIK providers charge more per eye. The type of approach a surgeon uses affects cost, too. 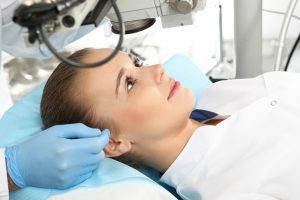 Lasik.com, a website hosted by a marketing company that works for the LASIK industry, estimates that procedures in the United States run from around $300 to $2,500 per eye. Some LASIK centers offer financing plans. LASIK surgery permanently alters the cornea; you can’t reverse the procedure if you don’t like the results. Not everyone ends up with perfect visual acuity after laser eye surgery. According to the American Academy of Ophthalmology, more than 90 percent of people who have LASIK end up with 20/20 to 20/40 vision without eyeglasses or contact lenses. With 20/40 vision, you need to stand at a distance of 20 feet to see what a person with perfect vision sees clearly at 40 feet. If you undergo LASIK surgery to correct your distance or near vision, it won’t protect you from age-related impairment of close-up reading vision, known as presbyopia. Like most people, you’ll still need to use reading glasses starting in your 40s or 50s. One in 10 (or more) people who undergo LASIK need a second laser procedure, called a retreatment, to achieve the desired corrected vision. You are more like to need a retreatment if you are primarily nearsighted, or had a relatively high degree of astigmatism before your initial procedure. Although good results from LASIK are not guaranteed, most people do well. In a recent study of 1,800 people, age 18 to 60, who had laser vision correction were happy with the results. Three years after having LASIK, 88 percent of former contact wearers and 77 percent of former glasses users who had LASIK were still strongly satisfied. In contrast, only half of the people who continued to wear contacts were satisfied with their decision. If you think LASIK may be a good option, make an appointment to consult with a vision specialist so you can undergo a comprehensive eye exam and review of your medical history. You can ask your optometrist or ophthalmologist for a referral to a good surgeon who performs LASIK. The American Academy of Ophthalmology (AAO) website has a “Find an Ophthalmologist” search tool that can help you locate an AAO-affiliated eye doctor in your area. Your eye specialist can explain the different types of surgical approaches and technology and their relative merits. And make sure to do your homework. Fortunately, trustworthy information in plain language is available from scientific organizations like the AAO to help you educate yourself bout LASIK. Laser surgery clinics and marketing websites and companies may be a less reliable source of information about the pros and cons of laser vision correction. 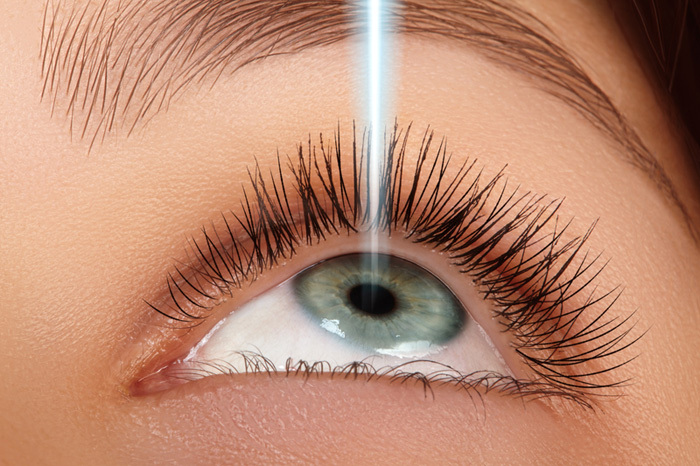 Advertisements by some laser correction may overpromise great results or downplay the risks. aging, arthritis, astigmatism, brain, contact lenses, diabetes, dry eye, dry eye syndrome, eye surgery, eye symptoms, glaucoma, infection, inflammation, lasik eye surgery, presbyopia, recovery, retina, rheumatoid, rheumatoid arthritis, tired, vision problems.